last night judy hertz was in one of my dreams. those who know her, enough said. she inspired this redesign of the circus business cards. all of the above and nonetheless, fun should be had. § 2 Responses to who’s in charge around here? 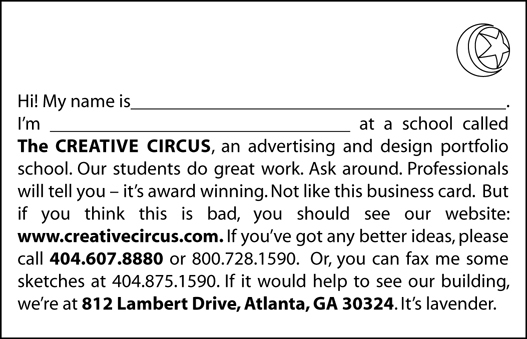 this is great…I think I’d be tempted to leave my business card blank at all times. and make up a job title….and scribble on the ball and on the back….leave them lying around so anyone can work there. « how do you welcome a baby boy named dylan fish into the world? You are currently reading who’s in charge around here? at hey, that tickles.